Are you looking to buy your first Mercedes-Benz car or SUV but aren’t sure which one is the best choice for you? No matter your personal preferences, Autohaus on Edens in Northbrook, IL has the perfect entry-level luxury car or SUV for first-time Mercedes-Benz customers: the 2018 CLA Coupe and the 2018 GLA SUV. Both vehicles offer the perfect introduction into the Mercedes-Benz world with unparalleled performance, modern design elements, and plentiful technology and safety features. We encourage you to visit our model research page after reading to explore these two models and their trim levels in further detail. We also recommend you visit our special offers page for additional ways to save on the Mercedes-Benz car or SUV of your dreams. Are you ready to step into the world of luxury and class in a new Mercedes-Benz car or SUV? If you’re more concerned with performance and handling, the 2018 CLA Coupe may be the better choice for you. Its standard 2.0L inline-4 turbo engine is capable of producing 208 HP and 258 lb.-ft. of torque. It’s quick off the line, accelerating from 0 to 60 MPH in just 6.9 seconds, and provides exceptional responsiveness with its 4-wheel independent suspension and electromechanical power steering. The new 2018 CLA Coupe was also designed with efficiency in mind, boasting an EPA estimated 37 highway MPG. When striking style, decadent amenities, and innovative technology meet, you’ll find the 2018 GLA SUV. Not only does the new 2018 GLA SUV boast a modern design, it also offers an impressive 43.6 cu. ft. of total cargo space, ideal for any adventure. Not to be outdone, the 2018 GLA also offers respectable power with its 2.0L inline-4 turbo engine churning out 208 HP and 258 lb.-ft. of torque. Whether you choose the new 2018 CLA Coupe or new 2018 GLA SUV, you’re guaranteed to find the sophistication and quality Mercedes-Benz is known for. Every element inside the 2018 CLA and 2018 GLA are carefully crafted to not only execute performance with precision, they are also designed to last. Between features such as the 4-wheel independent suspension, DYNAMIC SELECT®, and ECO-START® system, your Mercedes-Benz car or SUV is sure to rule the road for years to come. The striking designs of the all-new 2018 CLA Coupe and 2018 GLA SUV never fall short of breathtaking. Details such as the iconic Mercedes-Benz Star grille, MB-Tex upholstery, and available exotic wood trim reinforce the sophisticated feel of the cabin. From the sweeping lines of the 2018 CLA to the bold, muscular shape of the 2018 GLA, you’re sure to turn heads no matter where the road takes you. Both the 2018 CLA Coupe and the 2018 GLA SUV offer a multitude of features designed to provide you with the ultimate comfort and convenience whenever you’re behind the wheel. From available heated front seats to the rearview camera to the available Apple CarPlay™, the ultimate driving experience has never been more attainable. To learn more about the 2018 CLA Coupe and 2018 GLA SUV available trims, as well as pricing and features, peruse the table below. 0 to 60 MPH acceleration of 4.1 sec. 0 to 60 MPH acceleration of 4.3 sec. 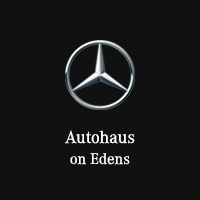 If you have any questions or concerns, reach out to the team at Autohaus on Edens in Northbrook, IL by through our contact form, or call (847) 272-7900 to speak to a product specialist directly.